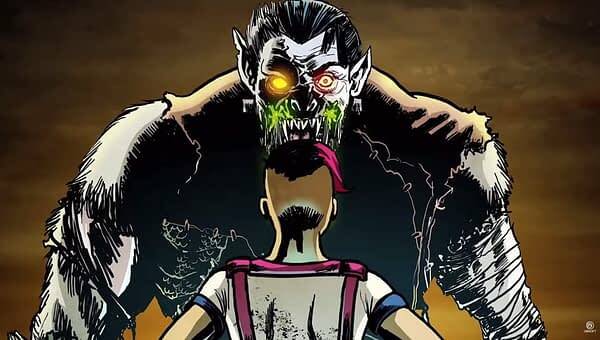 Ubisoft revealed this weekend their next DLC addition to Far Cry 5, and this time we’re going into zombie mode with “Dead Living Zombies”. That’s right, you’re getting a zombie adventure, and it actually looks pretty good. This leads us to ask, yet again, why Ubisoft didn’t make a zombie game instead of Far Cry 5. Here’s the description from the company and the official trailer, as the content will be released on August 28th. Far Cry 5’s post-launch adventures have taken players into the jungles of Vietnam and the mountains of Mars, and now they’re headed into the mind of Far Cry 5’s resident D-list film director, Guy Marvel, who’s about to put players through horror-movie scenarios in seven zombie-infested maps. Launching August 28, Dead Living Zombies takes place within Marvel’s movie scripts, challenging players to survive against undead hordes in diverse environments including military bases, farmlands, and urban rooftops. Playable in solo or co-op, the linear missions are filled with nonstop action and Marvel’s continuous narration, which shifts reality around you as the story demands. Once you’ve played through them, the maps – which were built using Far Cry Arcade’s creation tools – are replayable in Score Attack mode, and achieving three-star ratings can unlock new weapons and gear players can use in the main campaign. Assets from Dead Living Zombies are also available to all players for use in Far Cry Arcade.